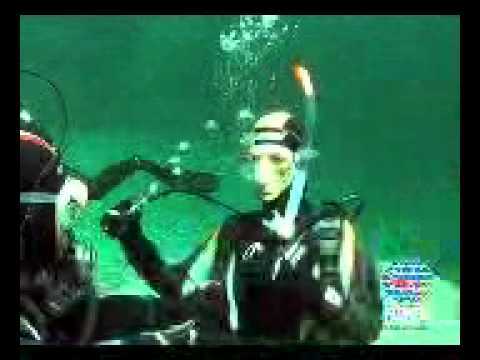 SCUBA DIVER Start Your Adventure! Short on time and long on the urge to become a certified diver? The PADI Scuba Diver certification might just be for you! This course requires less time than the PADI Open Water Diver course, covering only the first three of five sections of knowledge development, the first three of five pool sessions, and the first two of four open water training dives. The PADI Scuba Diver certification is perfect for people who don't have enough time to complete the PADI Open Water Diver certification course or will be diving primarily in the company of a dive guide. Diving environments and aquatic life you're likely to encounter! If you've tried diving through a Discover Scuba Diving experience or resort course, the skills you learned may be credited towards a portion of the full PADI Scuba Diver course certification. In the PADI Scuba Diver/Open Water Diver course, you learn to use basic scuba gear including a dive computer, and standard accessories. The equipment you wear varies somewhat, depending upon whether you're diving in tropical, temperate or cold water. For your Open Water Diver course through Patriot Scuba we provide all the gear needed to get you diving. Interested in purchasing your own gear? Patriot Scuba offers full lines of gear from all the top manufacturers including Cressi, Sherwood, Zeagle, Hollis, Atomic Aquatics, and many more! Check our our Gear page for a full listing of the brands we offer! PADI offers a variety of choices for home-study during the Scuba Diver/Open Water Diver course! Options include a traditional book and DVD package, The Open Water Diver Touch™ tablet application for those wanting to study diving from their smartphone or tablet device, or the Open Water Diver Online - PADI's eLearning option. Contact Patriot Scuba and let us help you determine which method will be right for you. Price $550* - all inclusive!